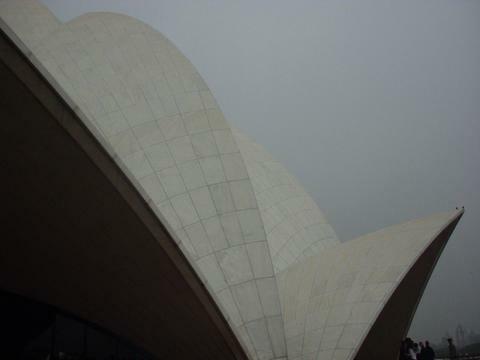 Dramatic from the outside, the Bahai "Lotus" Temple is comparatively simple on the inside. After waiting in a queue to hear a quick speech on how it was necessary to be quiet, I was let in with a few other people. I sat and enjoyed the (relative) silence; I counted only fifteen other people who were actually sitting quietly inside, although my best guess was that there were at least two thousand people visible immediately outside.